Goodreads says, "Young, beautiful, and witty, Ginevra de’ Benci longs to take part in the artistic ferment of Renaissance Florence. But as the daughter of a wealthy family in a society dictated by men, she is trapped in an arranged marriage, expected to limit her creativity to domestic duties. Her poetry reveals her deepest feelings, and she aches to share her work, to meet painters and sculptors mentored by the famed Lorenzo de Medici, and to find love. When the charismatic Venetian ambassador, Bernardo Bembo, arrives in Florence, he introduces Ginevra to a dazzling circle of patrons, artists, and philosophers—a world of thought and conversation she has yearned for. She is instantly attracted to the handsome newcomer, who admires her mind as well as her beauty. Yet Ginevra remains conflicted about his attentions. Choosing her as his Platonic muse, Bembo commissions a portrait by a young Leonardo da Vinci. Posing for the brilliant painter inspires an intimate connection between them—one Ginevra can only begin to understand. In a rich and enthralling world of exquisite art, elaborate feasts, and exhilarating jousts, she faces many temptations to discover her voice, artistic companionship, and a love that defies categorization. In the end, she and Leonardo are caught up in a dangerous and deadly battle between powerful families. " Guys, I will read anything that takes place in Florence, Italy, especially during the Renaissance. What do you guys think? I hadn't heard of this one before but it sounds really intriguing! Doesn't it? I feel like we need more books set during the Renaissance. Thanks for visiting, Christina! We're Tuscany twins today Christina! I'm with you - anything set in Florence is something I have to read. Count me in for this one! I know, right?! I'm glad you like the sound of this one as well. thanks for visiting, Jenny! This sounds gorgeous! I'm definitely excited about it! I'm like you, anything Italy is a must read. Great pick! I know...I love the Renaissance too. Thanks for dropping by, Michelle! Thanks, Kate! I am glad you agree. Thanks for dropping by! I hadn't heard of this, but it sounds intriguing! Hope you get it soon! I'm glad you agree. Thanks for visiting, Lisa! 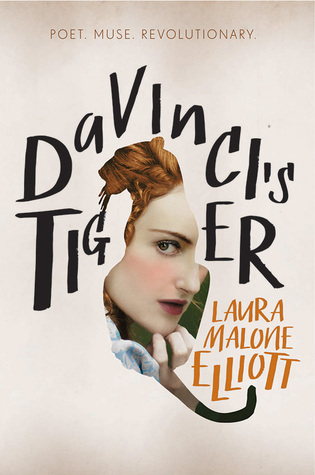 Davinci's Tiger has gotten a lot of positive buzz of late. I hope you enjoy it. I'm glad to hear it! I am looking forward to reading it this fall. Thanks for visiting, Grace! Oh love! New to me, too. So thanks! You're welcome. Thanks for dropping by, Joy! I love historicals and this sounds so good!! I'm glad you agree, Carrie! Thanks for visiting. Oh, my gosh...I think you're going to LOVE this one, Christina! It sounds really good! Thanks, Tara! I am glad you agree. Thanks for dropping by. Me too! I'm glad you like the sound of it. Thanks for visiting! With this setting and Da Vinci---how could this not be so utterly romantic. Plus the cover is just stunning. I know, right?! I'm loving the cover as well. Thanks for visiting, Becky!